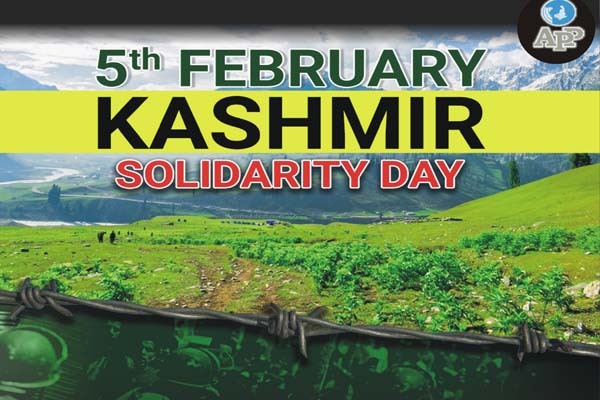 ISLAMABAD, Feb 5 (APP):Participants of the international conference on human rights situation in Jammu and Kashmir held at the Palace of Westminster on Monday urged for immediate resolution of the Kashmir dispute in accordance with the relevant UN Security Council Resolutions. They also urged the international community, members of the civil society, the UN General Assembly and the Security Council, relevant International Organizations, the OHCHR Geneva, and Parties to the Kashmir dispute to take immediate and effective measures to address the human rights situation in Kashmir, according to a unanimous resolution adopted at the end of conference. Noting the findings in the Report of 27-29 March 2017 by the OIC Fact Finding Visit that echo the concerns raised in the other such Reports. Express solidarity with the Kashmiris; and Commit to the continued efforts for creating awareness and extend moral support to the Kashmiris.